In a move to help tackle the burden of foodborne diseases that a recent global assessment found to be comparable to that of malaria, HIV/AIDs or tuberculosis, the CTA in partnership with the African Union Commission, CGIAR A4NH, FAO and WHO, launched a new African Food Safety Index (AFSI) yesterday, 2 October 2018. The AFSI aims to provide the evidence necessary for African countries to prioritise food safety, reduce foodborne illnesses and improve trade and income. Unsafe food is a threat to food and nutrition security and an impediment to national development as a whole. According to the WHO, 91 million people in Africa fall ill each year due to foodborne diseases. Of these, 137,000 will die, many of whom are children and other vulnerable groups, die (young, old, pregnant, malnourished and immune-suppressed). In addition to health concerns, food safety has become an important precondition for access to global food markets and increasingly, for high-value domestic markets in developing countries. No studies have been done on specific impact on national economies but evidence indicates a high burden on trade and health amounting to hundreds of millions of euros. A single food safety hazard, aflatoxin contamination, alone is estimated to cause annual losses of over €600 million in lost export trade of Africa. Amare Ayalew, program manager at Partnership for Aflatoxin Control in Africa: “Without access to safe food, consumers are denied access to adequate food, nutrition or health and the Malabo Declaration Commitments 3, 4, and 5 on ending hunger, poverty reduction (raising incomes), and tripling intra-African trade in agricultural commodities, will not be achieved." CTA’s recently launched Africa Agriculture Trade Monitor cites growing concern over health risks associated with imported food products that have prompted revisions in sanitary and phytosanitary (SPS) standards in industrialised countries. In 2012, according to the report, EU imports of sub-Saharan African (SSA) commodities that may be affected by standards compliance amounted to €7.9 billion. SSA is Europe’s main supplier of cocoa and a major provider of coffee and tea. Several African countries exported millions of euros worth of cane sugar, molasses, and nuts and fruits to Europe in 2012. According to the 2015 WHO report on the Global Burden of Foodborne Diseases, the global burden attributed to 31 main food-hazards was 33 million Disability Adjusted Life Years (DALYs) in 2010 with the highest burden per population observed in Africa, accounting for a third of the death toll. Last week, the implementing partners and experts met to design a composite indicator that will be included in the Comprehensive African Agriculture Development Program (CAADP) biennial review for progress monitoring and scoring for all the 55 member states. 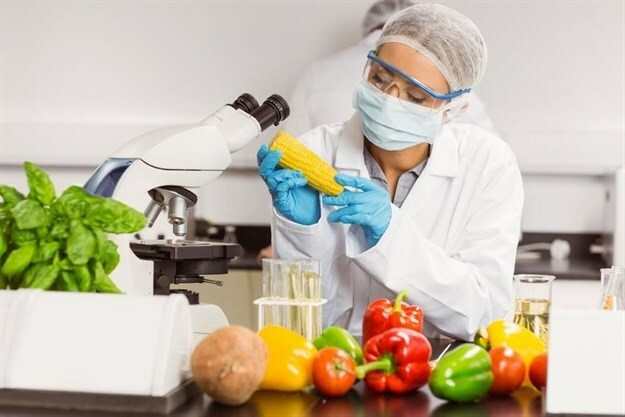 The composite indicators which capture the multi-sectoral nature and impacts of food safety will be packaged into the AFSI and incorporated into the Malabo Biennial Review mechanism. Food safety tracking and country level efforts to meet food safety benchmarks are expected to have a domino effect on the prioritisation of food safety and policy making, leading to systemic improvements in food safety management and ultimately to enhanced food security and nutrition, the reduced burden of foodborne illnesses and enhanced access to markets, agribusiness and overall development contributing to the realisation of the AU Malabo Declaration Commitments.